is a boutique studio on Sydney's North Shore. We believe that life is too short to be asleep at the wheel. So, we create the conditions for waking up through synthesising the best of modern science and ancient wisdom. We're open to all technology ( both new and old ) that accelerates human evolution. WOKE YOGA is owned by Lyndsey Benn, Em Cruickshank and Cora Geroux - who were all long time independent yoga teachers before they joined forces to create their shared vision, WOKE. While our teachers come from a variety of backgrounds and lineages they all share the core beliefs that yoga is so much more than fitness, that inclusivity is key, and community is everything - especially when it comes to waking up. Em is in a long term love affair with yoga after attending her first yoga class in 1998. Due to long term illness and a snapped ACL Em's yoga journey has dipped in and out of the physical practice of asana - but she always maintained her inner practice of meditation. Em qualified to teach through the Byron Yoga School, and then went on to study under Sarah Powers in the Insight Yoga Community. Em specialises in teaching Yin, Restorative and Meditation. When you come to Em's class you can expect to feel grounded, supported and nurtured. She creates a safe space for healing and authenticity to emerge. Em is a true guide and mentor on the spiritual journey. Em is also a co-owner of WOKE YOGA. Lyndsey is a teacher's teacher and has been practicing and studying yoga for nearly two decades. Her teaching journey began in Japan and then deepened through spending a number of years in and out of India. During that time she completed an in-house Diploma of Applied Science and Yoga at Bihar Yoga Bharati, a still active ashram yoga university. In 2002 Lyndsey drew from her sports associated background to deliver yoga programmes for NZ All Blacks, Super Rugby & The Black Caps. 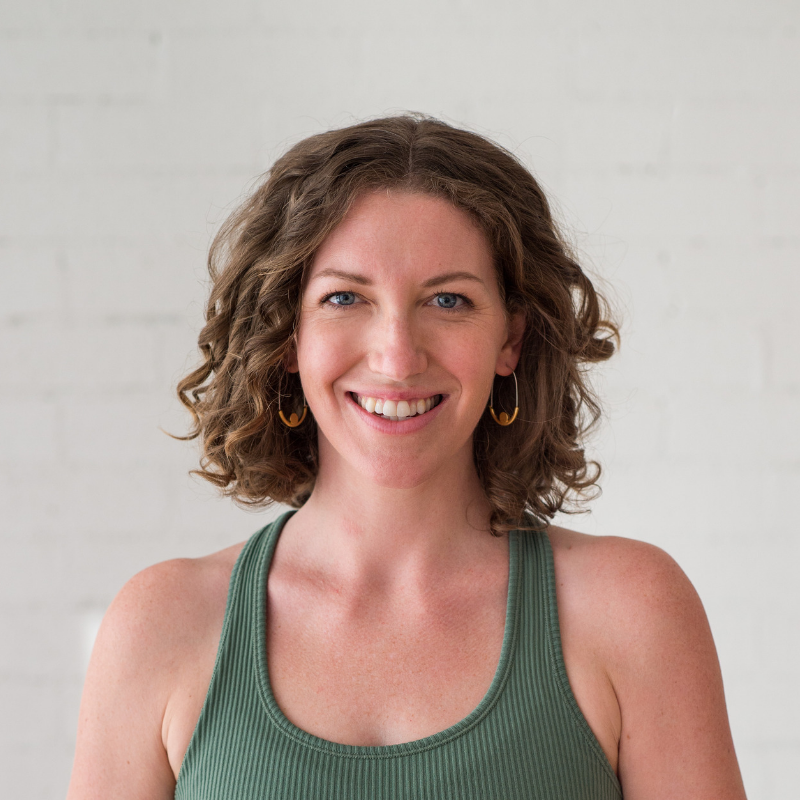 Since 2008 Lyndsey has been an active and respected member of the Sydney Yoga Community. Most recently Lyndsey has been a vital component of the national yoga training for Fitness First. Lyndsey is also a co-owner of WOKE YOGA. Cora first started practicing yoga as a teenager with her Mum’s Rodney Yee VHS tapes, however, it wasn’t until she was studying Psychology in University that yoga became a regular practice. Cora graduated with a BA in Psych from Simon Fraser University in Vancouver and promptly became a yoga teacher. She first trained in Moksha Yoga, later in Vinyasa and has found the love of her yoga life in the slow, quiet practice of Yin. Cora has trained with Bernie Clark and Sarah Powers. Cora has been teaching yoga for almost a decade, is a co-owner of WOKE YOGA and is the creator and lead trainer for our 200 HR Hatha, and 50 HR Yin Teacher Training. Lisa began her relationship with yoga in 2003, discovering the safety and mental respite of her yoga mat during high school. Then began an 11 year journey working in the health and fitness industry dedicated to helping others as a trainer, coach, instructor and mentor finally arriving in her happiest incarnation to date as a yoga teacher in 2014. With the intention of creating a safe place for all her students to land, Lisa delivers classes that reflect her vitality and love for life. Fusing anatomy, traditional philosophy, breathe and creative sequencing into a fluid felt experience you will find an opportunity to deepen your connection to self (and maybe sweat/swear a little too). Ryan's understanding and experience of the human body comes from over 10 years of self-study and rehabilitation in the pursuit of peak performance, whilst also applying his experience by coaching others to develop and express their greatest potential. I've been practicing yoga on and off for the past twenty years, first discovering it in my late teens as a useful tool in helping to alleviate the stresses of high school, especially when it came to exam time. I began working in the media industry when I was 20 years old and spent 15 years as a television programmer. I turned to yoga during these years as my form of exercise and as a much needed break from my days spent in front of a TV and computer. In 2012 I decided to turn my love for yoga into a career, undertaking a 400 HR Hatha Yoga Teacher Training - and I haven't looked back. I believe that by joining forces with your body, breath and mind anything is possible. Charlotte began practising yoga over a decade ago in the States, using it as a tool to destress from working in the corporate world. Since then, she has built yogic concepts into the forefront of her life. Charlotte completed her 420 hour teacher training at Qi Yoga in 2016, her meditation facilitator training in 2017, and her yin training with Woke Yoga in 2018. Whether it's hatha or yin, Charlotte's classes have a basis of mindfulness running throughout them. She enjoys bringing intention and awareness into the way we move and think. This may mean moving joints in all directions to counterbalance repetitive movements we endure, or it may be providing opportunities to tune into the more subtle parts of ourselves, beyond just the physical body. You can expect a balance of self-inquiry and play in Charlotte's classes. Matt was told to try yoga in 1997 after an ankle injury ended his basketball career. He fell in love with it straight away. In 2004 he was on the road to becoming an Ashtanga Yoga teacher after training with Shri K. Pattabhi Jois in Mysore India, when an opportunity arose with his other passion, music. “Yoga was my saviour on many occasions whilst touring around the world as a performing artist. It helped ground me through some tough times.” In 2016 Matt completed his 200hr Teacher Training at Power Living. Matt teaches how he likes to practice, with discipline and focus, whilst maintaining a light spirit. "I believe in not taking yourself too seriously. It’s OK to laugh and fall in my class!" Sara found Yoga in the early 1990’s and felt in her bones and heart that she had discovered something pretty special which she kept close to her while she worked in marketing for two cosmetic giants for the next two decades. In 2010 Sara joined a 350 Hour Yoga Teacher Training with Qi Yoga and began teaching locally. In 2013 she found her Mentor and Teacher Kelly Sunrose and began to dive into the Vedic Texts, which she loves bringing to life in her classes with a sense of reverence and humour. In 2015 Sara flew to San Francisco and studied with Elena Brower, which was a dream come true, since then Sara has enjoyed studying and learning with Cora Goreaux and Lorin Roche and enjoys teaching Hatha, Yin, Yoga Nidra, Pranayama and Meditation. When you come to class with Sara you might just walk away with a new poem to love, a deeper and accessible sparkle of wisdom from the Vedic Texts and a lightness in your step. She dreams of quiet weekends, with her family, her sweet cavoodle Teddy and a good cup of coffee. Growing up in Japan Joseph was deeply influenced by the rich cultural and spiritual traditions of the Far East, especially by Japanese martial arts and Buddhist teachings. He was introduced to yoga as a young teen by an Indian guru en route to America and this encounter initiated his yoga journey. He also spent time at the Eiheiji Temple learning Zen meditation, and practiced Zazen and lived alongside the monks. Joseph draws his inspiration from a variety of sources including Zen, Jnana Yoga, Sufism, Agnosticism, Advaita and Taoist philosophies and the mystics around the world. Joseph has trained in Advanced Assisting (adjusting and enhancing anatomical alignment), Advanced Vinyasa Sequencing and Theming, and holds a Yoga Alliance RYT-350 HR Silver Designation. As a certified teacher of both Vinyasa and Yin yoga Joseph infuses his teaching with mindfulness, inviting practitioners to deepen into the present moment, aligning body and mind to the inner Self. In his classes expect to find both challenge and relaxation in a balanced practice that will invite you to more deeply connect with your body and Spirit. Mark first discovered yoga in the 90s with his mum at a Body Balance gym class and liked how it calmed the mind and stretched the body. Mark’s practice has ebbed and flowed into a way of ‘being’ since then. From trainings in Sydney at Samadhi and Sukha Mukha 200hr to ashrams in India at Sivananda Trivandrum and intensive retreats with much-loved guru Clive Sheridan where the adventure toward consciousness has been transforming. Mark has also been studying astrology for almost two decades, holding lunar astrology workshops and interweaves the cycles of the planets and seasons into his teachings. Holding kirtans in Sydney for the past 2 years has also been a personal and rewarding sadhana as a means to uplift the heart through this beautiful bhakti practice. Mindfulness, acceptance, kindness, joy and the art of ‘sitting with’ are what he wishes to bring to his practices he shares.